If you haven't had a chance to shop the Nordstrom Anniversary Sale during it's early access days, you're now in luck! The perfect start to a Friday if you ask me! The sale is now opened to the public and everything has been restocked. It's also a great time to try and get your hands on anything you may have missed out on during the early access period! My orders are starting to roll in and I can't wait to share the fun things I've bought for the home, for the rest of the summer and for the fall. The best part is realizing how much you saved on designer items and ones that you may not have let yourself splurge on if they weren't on sale. If you're a card holder or part of the reward system, you can gain 3x the amount of reward points! It's actually a great way to shop because you'll start earning Nordstrom Notes. I've gotten a couple of notes during this sale, and I'm so excited because I have close to $200 in "notes" now to put toward my next purchase! I also have to share just how amazing the Nordstrom customer service is... A few days ago, I found an area rug I absolutely loved and it strangely didn't have a size with it; I was going to the Nordstrom I shop at that day and they didn't have it in the store, so I used their live chat and long story short, the rep told me she would contact me if she could find out what size the rug was. To my surprise, I got a phone call today from the exact representative I spoke to telling me the size! I've always known how good the customer service was (I wrote a Fund. of Management final paper on it my junior year of undergrad and got an A+ ; ) let me know if you'd like to read it!! ), but not this good. My top 2 shopping tips for this sale: plan ahead and think about more than what YOU like! Planning ahead: this is a great time to stock up on some new and really popular pieces. It's also a great time to see what's going to be popular for the upcoming seasons and grab some things for the rest of the summer! If you know what you want to go after for the most part, you'll be less likely to over spend (maybe I should take my own advice...) The sale is great for getting some staple wardrobe pieces too and the perfect time to invest in some more expensive pieces that'll be in your wardrobe for years and years (like this Michele watch or a Burberry coat). Grab some gifts: more than shopping for yourself and staple pieces for your family, think about any gifts you may be needing in the near future! It may be way too early to think about Christmas and the holidays (unless you're on the Christmas in July train!) but for birthdays coming up also; some of these designer items aren't going to be discounted this much or even at all come the holidays, so grab some things now while they're on sale! Although there are pages and pages of swoon worthy items to go through, it can be overwhelming; and if you're shopping in-store, there's a million (and likely really unorganized and messy) racks of great finds to try and go through. Items have been and will continue to go fast, so make sure you shop your favorites quickly! 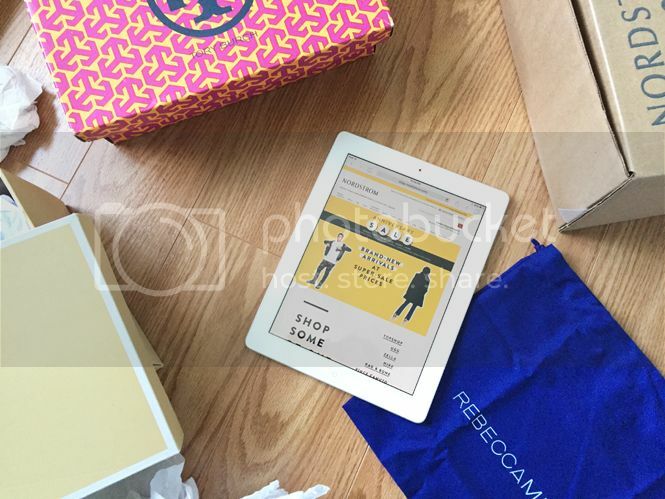 Even if you aren't sure about something online, order it so you aren't regretting it later! If you don't love it as much as you'd hoped or if the sizing is off, you can SO easily return it with Nordstrom's awesome returns policy. Next to free shipping, you have free returns for 6 months! I often order two sizes if I think I'll be between sizes, and return which ever doesn't fit so that I'm sure I'll get my selection without worrying about sell outs. These Stuart Wetizman boots are #1 still on my wishlist! I haven't pulled the trigger yet but they're back in stock now and they're SO adorable. I love over the knee boots and you really can't beat the Stuart Weitzman quality! They're almost 40% off and I haven't seen these boots or any of his similar pairs on this great of a sale EVER! I also fond this adorable Kate Spade tote that comes in two colors; I can't decide if I should grab it or wait! I like to buy a new black tote each season that I know I'll keep for a long time, but I'm iffy still. How cozy does this ombre sweater look?! I saw Carly from General Hospital (any other GH fans?!) wearing it all winter last year and I've wanted a similar one since - I love the colors of this one! LOVE everything in this round up!! :) Great job! Looks like nordstrom offers a wide range of products, their anniversary sale looks amazing. Will have to check out some of these deals, I could use a closet makeover! I have to say, this is the best Nordstrom's post that I have ever seen. It's inspiring to see such excellent work from fellow bloggers! I love that coverup! I got a coat this morning at 3:00 AM haha! I have yet to shop at a Nortstroms, didn't have one where I am from! I really need to take a look at this sale! Love the stuff you've showcased!! What a great sale, I love all of the outfits but especially the accessories. 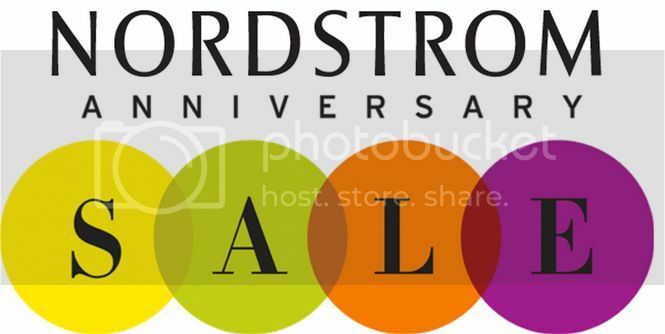 I can't wait to check out the Nordstrom Anniversary Sale. Nordstrom is one of my favorite places to shop. I'm loving that swimsuit coverup. I'll have to head over to the anniversary sale and check it out. I have not had time to pop over to Nordstrom yet! But I have a bunch of gift cards I have been saving up - so perhaps this weekend. This sale has gotten me into so much trouble. The sale is so good! I was shopping at Nordstrom online today, not for anything fun for myself but Back to School for my grandson. Love a good sale!! I am so happy that I live in NYC and can travel to the city and shop at there flagship store. I have purchase a couple of items during this yearly sale in previous years. I love all of my items but I am not excited to see my CC bill next month. I haven't been to Nordstrom in so long! I love all of these items, so I think I have to get to Norstrom soon! So many great picks its hard to choose. I do not get to shop at Nordstrom's nearly as much as I would like to. These are some great ideas for shopping any sale. Thank you for such great tips! You have a really good thought process about it! I LOVE so many of your picks, the colour block sweater, the ombre sweater, the snake cross body, the black booties! This sounds like a great sale! I haven't been to Nordstrom in years but it may be time for a visit. Loveeee this sale so much! They have so many great deals! I think i'm the only person not shopping this sale since I don't need anything and am on a money saving kick. 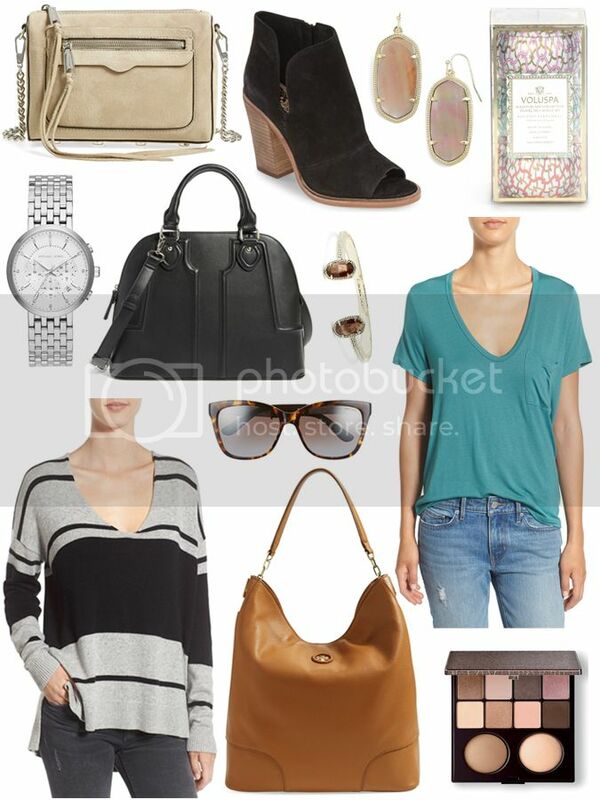 I love so many of the items that you have pictured and wish we had a Nordstroms near us. Those are really great deals! I would love to have many of these outfits. Unfortunately we don't have a Nordstrom in our city but this sale looks great! 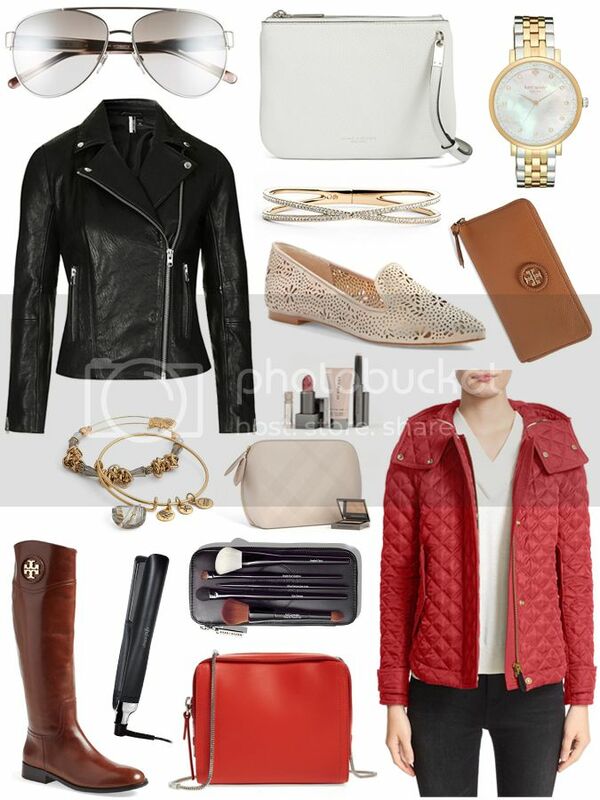 I love the motorcycle jacket and the purses! Yes, yes, yes! I love sales at Nordstrom and that is when I try to go in and “stock up” on items that I may need for business and travel throughout the year. I also find it is a great time to pick up gives for birthdays and Christmas and perhaps a thing or two for our home. Sales are fantastic, it is important to plan ahead, budget, and get the best deal possible! Nordstrom I have never shopped at before but than again we don't have one in our area either. I am going to have to check them out on line. These are some really cute items here you are sharing. I love the second list but the wish list of yours does have indeed amazing items. Thanks for sharing the lists. I love all these Nordstrom posts, I do not, however, love that my bank account cannot handle it right now. Love these though! I'm practicing smart shopping by abstaining from the sale this year! Great picks. I like everything that you put together. Per usual, your picks are awesome and I'm inclined to just shop all day. Thanks a lot. hahaha! Buy your authentic luxury brand watch with a MAJOR discount online at AuthenticWatches.